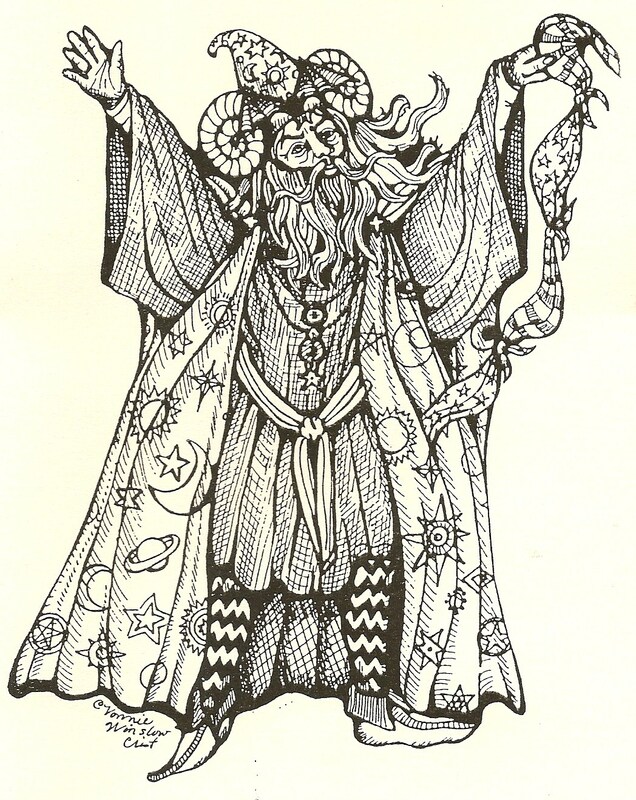 Thanks goes out to the editors of Alban Lake Publishing’s Illumen speculative poetry magazine and Frost Fire Worlds magazine, and Nomadic Delirium Press’s Spaceports and Spidersilk speculative e-magazine. My paintings are used for the covers of the current issues of all 3 magazines! “Flying Fish” is the title of the mixed water media painting on the front of the Fall 2013 Illumen. Though I must admit I was surprised when I first saw the cover. The editor decided to reverse the right-hand side of the painting and use it for the cover image! After looking at the cover again, sigh, I knew the flip-flopping of the illustration made sense. “Fafnir at Raven’s Haunt” is the title of the mixed media painting on the front of the November 2013 issue of Frost Fire Worlds. It’s one of my favorite paintings (yes, illustrators have favorites). And by mixed water media, I mean I used watercolor, inks, watercolor colored pencils, and acrylic paints in creating the art. 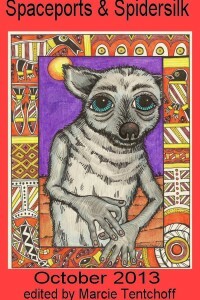 “Big-eyed Beastie” is the title of the mixed media painting used for the cover of the October 2013 Spaceports and Spidersilk. I wanted to used fall and Halloweenish colors without using the typical pumpkins, black cats, and witches. I think my creature captures the season. If you love my speculative illustrations, you can always order a copy of the Alban Lake Publishing 2014 Calendar featuring lots of fun science fiction and fantasy related dates and my fantastical illustrations. In the calendar, you can finally see the full painting from which a tiny square was taken for the cover of an issue of Scifaikuest. And the full-sized, non-reversed painting, “Rock Castle,” used as the cover of an issue of Aoife’s Kiss, is also included. 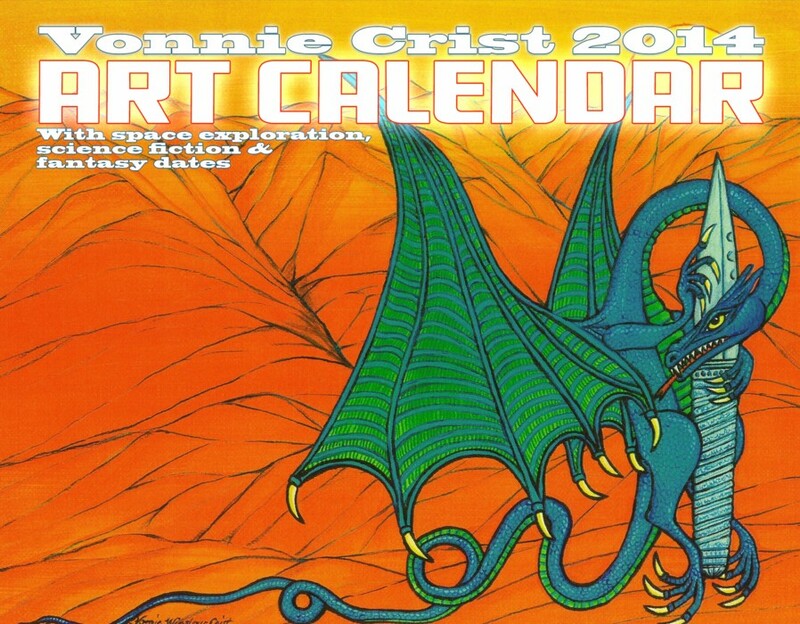 Plus paintings never published before are included in the calendar. If you’d like to see more of my artwork, I’m Artist Guest of Honor at this year’s Darkover Con in Timonium, Maryland. I’m hoping to display (and maybe sell) a dozen paintings, plus sell posters featuring some of my art. 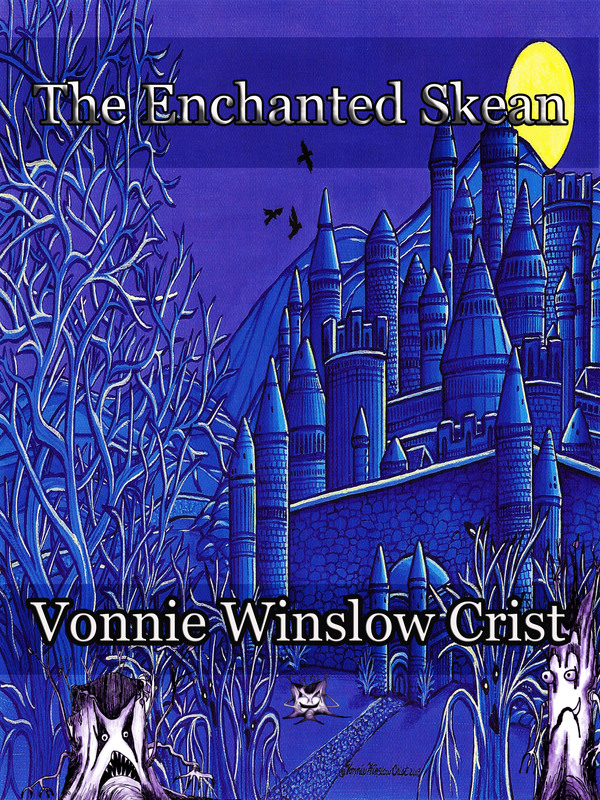 And of course, I’ll have my books there to sell, including my YA adventure fantasy, The Enchanted Skean. 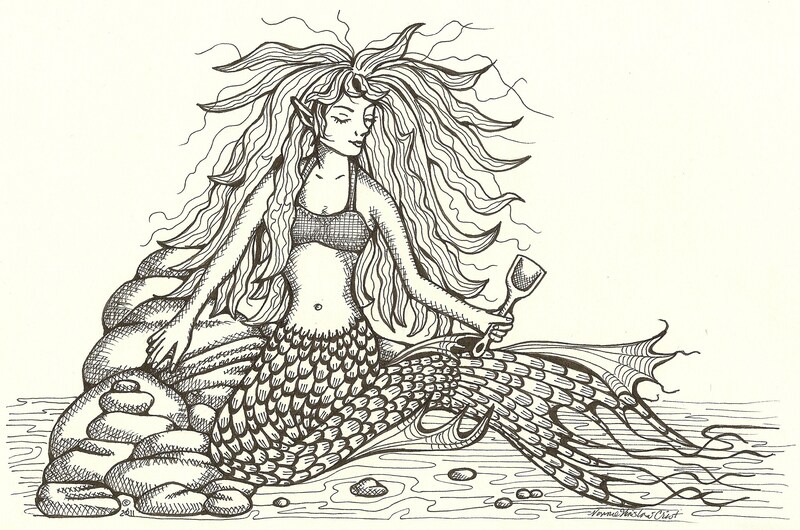 Have a most magical weekend, dear readers. Now, back to the drawing board! Zombies & Angels & Boogeymen…Oh, My! 2012 has started off with a bang! 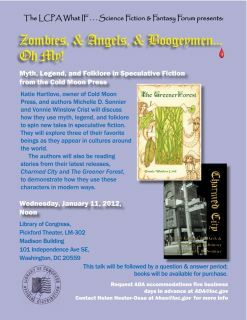 Tomorrow, I’ll be part of a Cold Moon Press presentation at the Library of Congress in Washington, DC at 12 noon. Besides reading an excerpt from my zombie love story, I’ll be discussing how to use traditional creatures/ characters from myths & folklore in creative writing. The public is invited if any of you are in the area and interested. 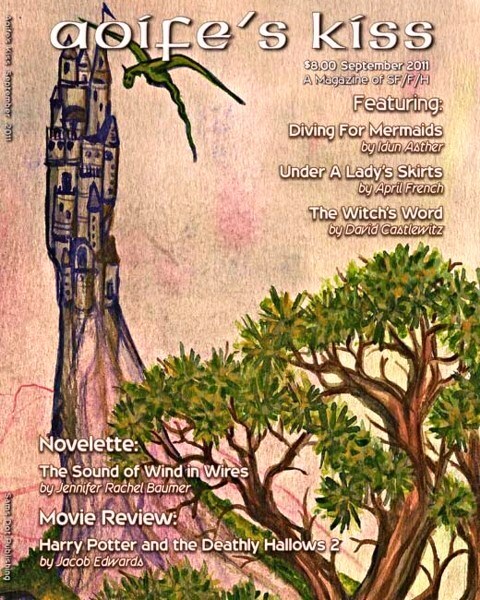 Also nominated are my magazine cover for September 2011’s Aoife’s Kiss, the cover of my book The Greener Forest, and one of the illustrations from that book: Ningyo (reprinted here). And now, I need to focus on completing several stories for my next book. Title and other details will be announced shortly. Till then, here’s a hint: Dusk, darkness, and owls are involved! Here’s hoping that each of you has a healthy and prosperous 2012. I’m a great fan of ravens – whether the Baltimore football team or the darkly feathered bird of Edgar Allen Poe’s poem. I’ve visited Poe’s grave and attended football games. 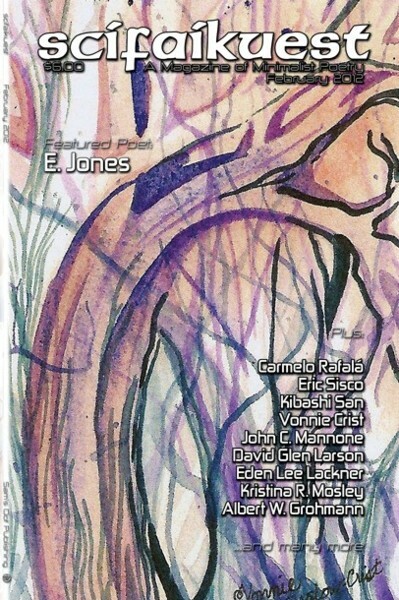 One of my poems about both the Ravens football team and Edgar Allen Poe was published in The Baltimore Review and released as part of a poetry CD. Another one of my poems, Raven, is competing until midnight Jan 26th on the Preditors & Editors Poll. I challenge Baltimore Raven fans and Poe fans to vote for my poem, “Raven,” until Jan. 26th midnight at: http://www.critters.org/predpoll/poem.shtml Let’s put the word RAVEN at the top of the poll! So thanks to all you who decide to vote. Hooray for Edgar Allen Poe, whose birthday is later this month. And Good Luck, Ravens in tomorrow’s game!